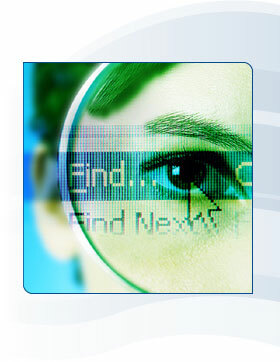 findinsite is a custom search engine providing a powerful search specific to your site, CD or DVD. Try out findinsite by searching our site in the box above. See how search words are highlighted both in the results list and on the web page. Why bother with findinsite when Google, MSN, Yahoo etc do the same job? How good are the major search engines at indexing? How to provide a search for a database-driven site.